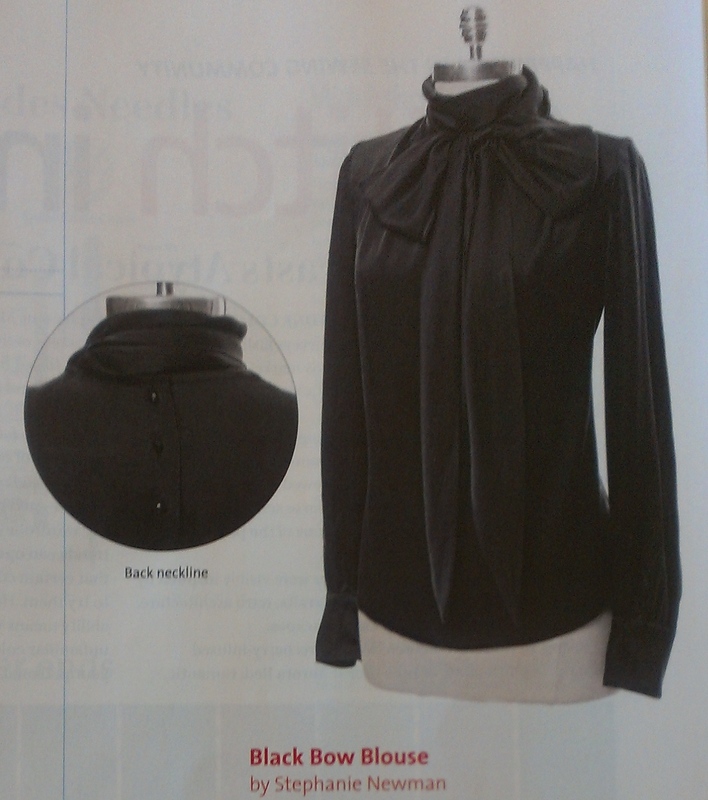 Threads Magazine Features My Silk Bow Blouse!!!! I’ve officially made it in print!!! Threads Magazine contacted me after I posted my silk bow blouse made from McCalls pattern 6650 from silk charmeuse purchased at Fabric Depot in Portland, OR on their Threads Insider membership page. 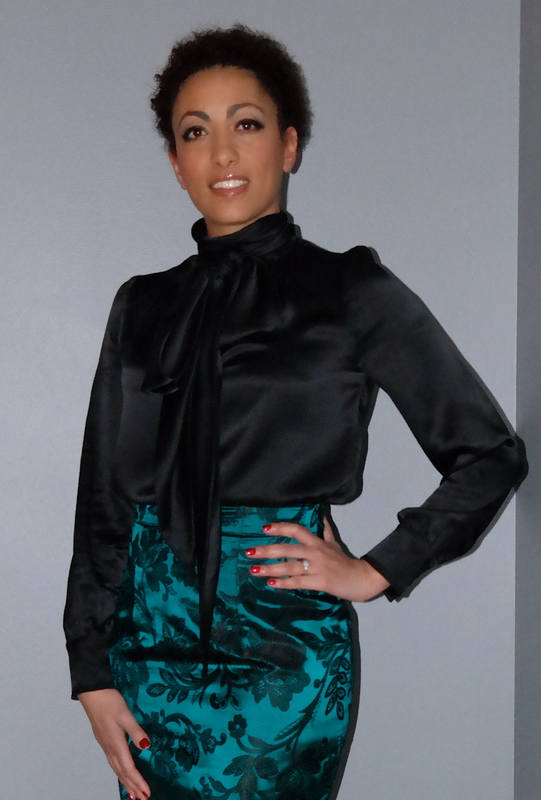 They asked if they could feature my blouse in an issue of their magazine. I was delighted of course and accepted the honor and flattery! Not to mention the publicity!!! 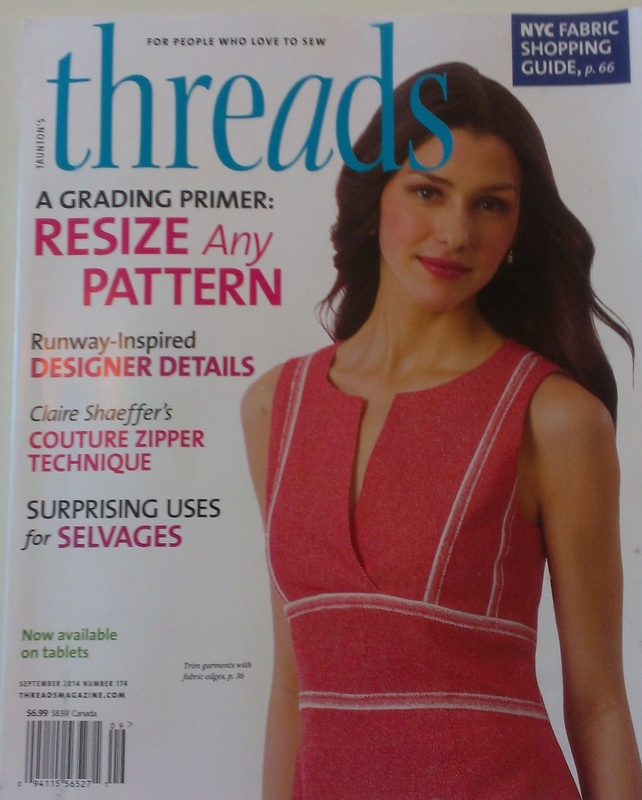 So I sent them my blouse to their publication headquarters in Connecticut and voila! Here I am, smack dab in my favorite sewing publication, read by thousands of sewing enthusiasts, praised for my work and creation! What a great honor! I’d be one giddy girl if that were me! It is a great looking blouse! Actually the whole outfit is fab! Enjoy the accolades! Thank you so much Norie! 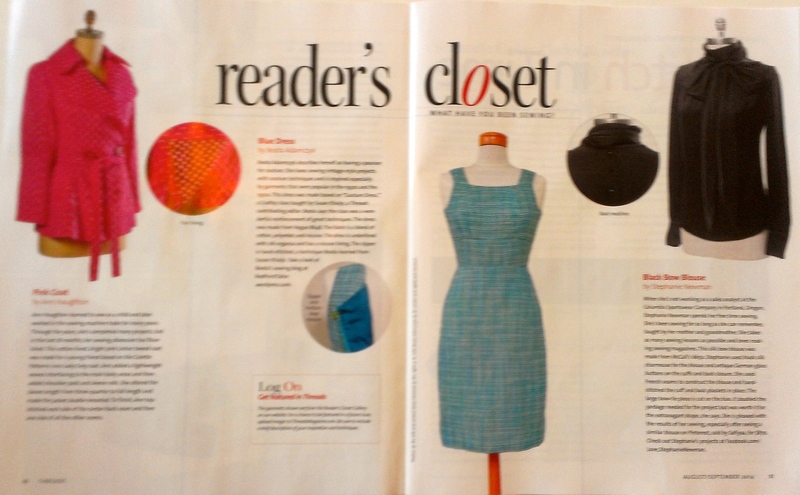 I am giddy with excitement, I can’t believe my work was published in a national magazine! It is so gorgeous! And even more with this skirt! It is my style. You make me want such blouse! 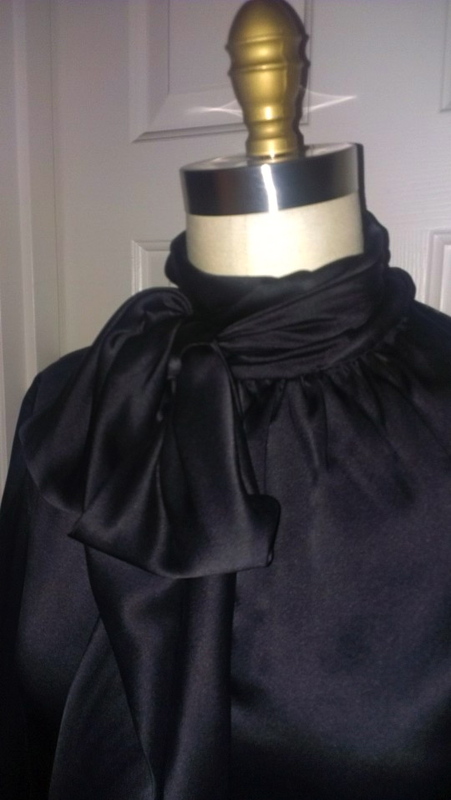 I came across your blog and this blouse via a Google search, it is absolutely stunning! I am curious if you do work for others or only yourself? I would be very interested in having a replica of this blouse made for me, if you are interested. Feel free to contact me at jamiekjohnson@comcast.net if you are; thanks! Thank you Jamie! I hope that we can connect and make up something wonderful for you in the near future!